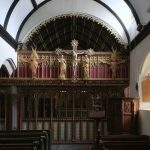 Located in the South Hams District of South Devon, Bigbury-on-Sea is an absolute must visit if the weather is clement. 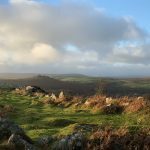 It’s situated in an Area of Outstanding Natural Beauty which is self-apparent when you gaze upon the magnificent scenery that can be viewed in every direction. 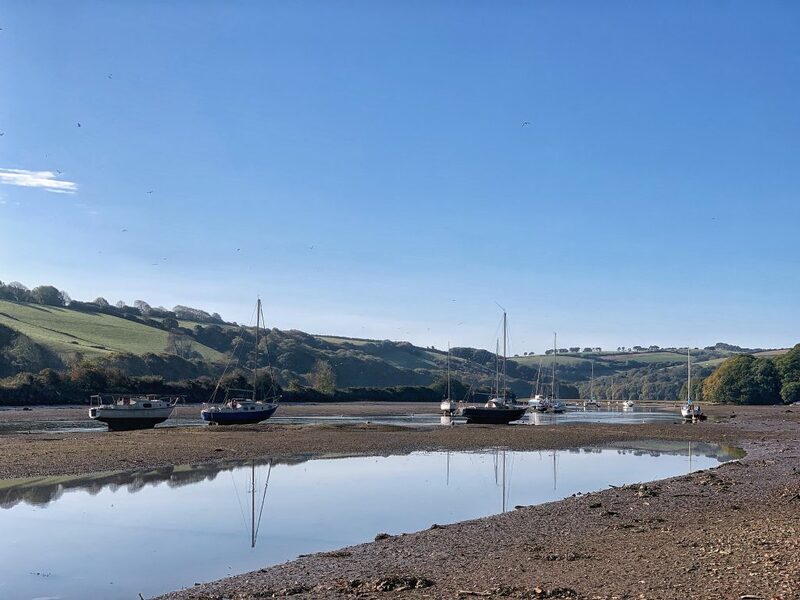 If arriving at low tide then it’s well worth taking the picturesque Aveton Gifford tidal road along the River Avon Estuary with its abundance of wildlife. (Do check the tide times though as the water levels can change very rapidly). 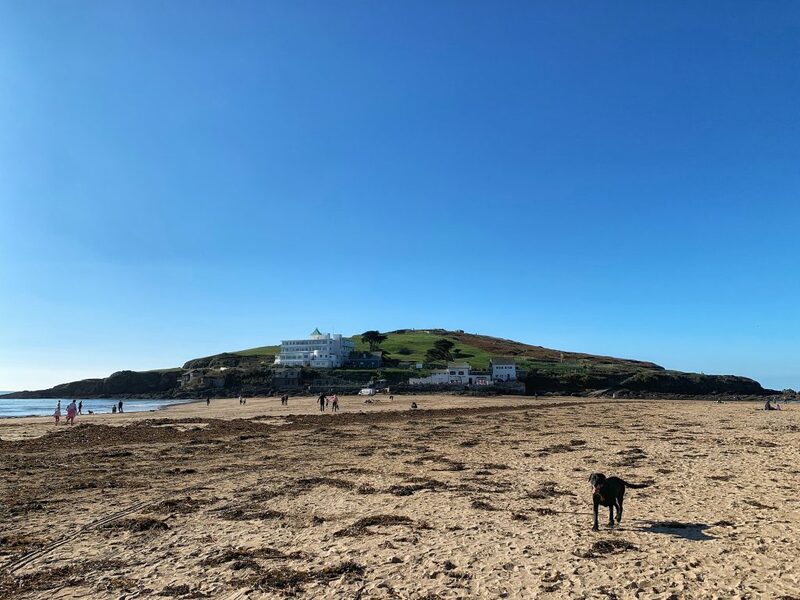 There’s no doubt that with its extensive soft golden sandy shores Bigbury is one of the most popular beaches in the South Hams. The beach falls away very gently making the shallow waters ideal for paddling, swimming and bodyboarding; there’s an area that is patrolled by R.N.L.I. lifeguards from May through to September. At low tide rock pools teeming with marine life abound along the shorelines making it the perfect family destination. If you fancy something a little more adventurous then there are a number of water sports to choose from. Discovery Surf School operating out of Bigbury, and its neighbouring beach, Challaborough, offers the perfect introduction to surfing. They also run a small shop from which you can hire surfboards per hour. 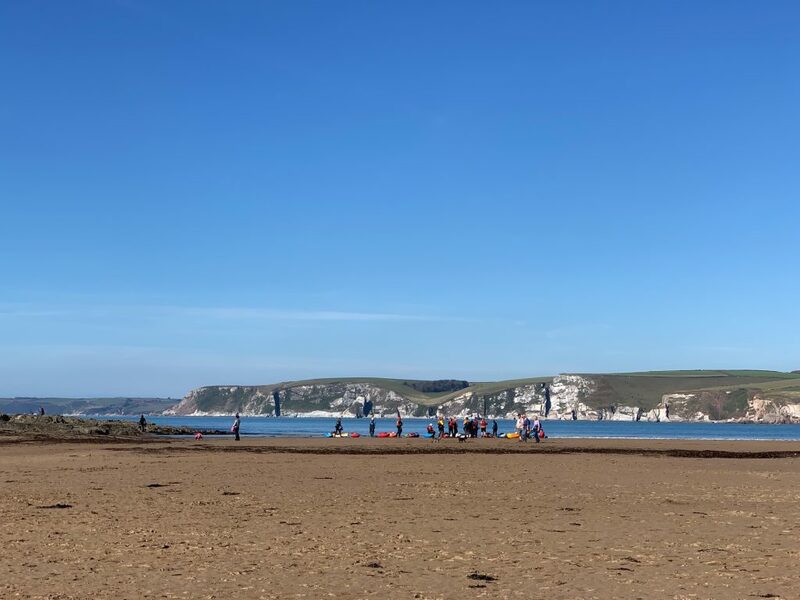 Over the last few years, Stand Up Paddle Boarding has become increasingly popular and Bigbury is the perfect place to try out this relatively new sport. Once again, it’s possible to either book introductory lessons or hire equipment on site. Last but not least is kayaking which is a firm favourite in the area and perfect for viewing and visiting the opposite side of Burgh Island. Located just 250m from Bigbury-on-Sea, the island can be reached by walking across the beach which becomes a causeway at low tide. 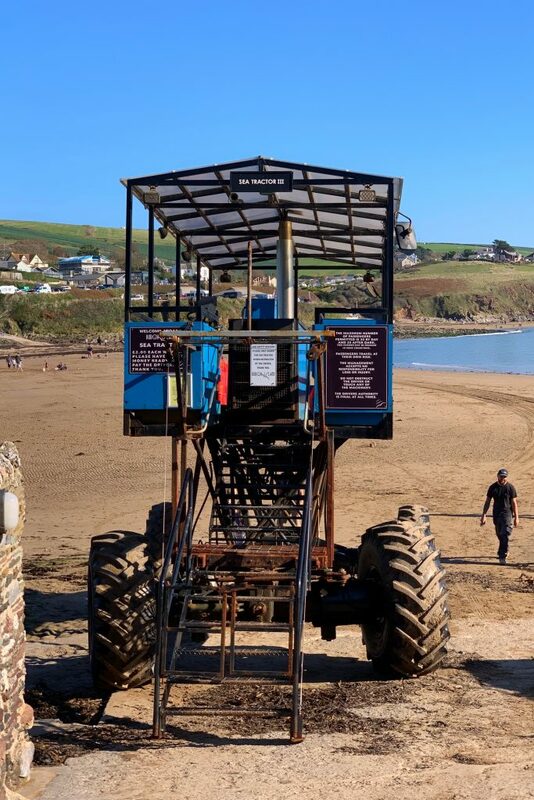 At all other times, there is a rather unusual looking sea tractor which transports visitors for a small fee to and from the island. The sea tractor is operated by the hotel owners who in fact own the vast majority of the small 26-acre island. 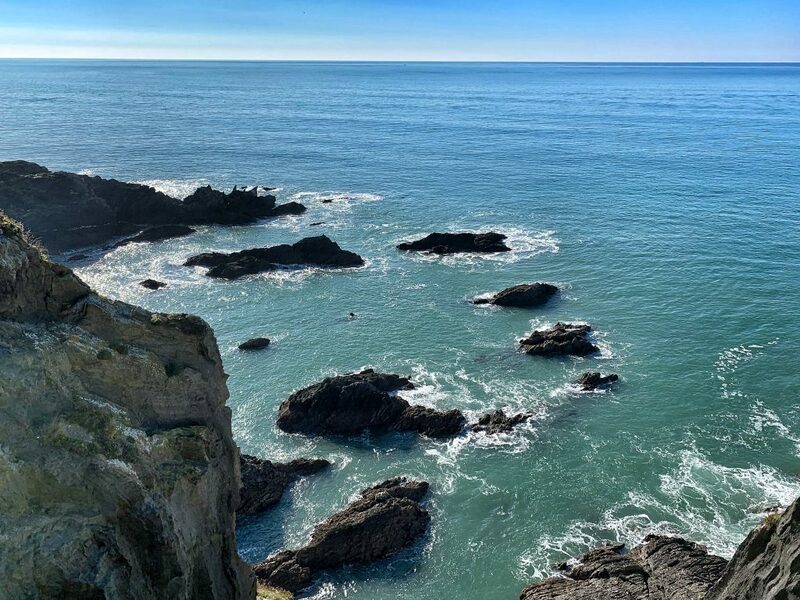 There are a number of footpaths over the island from which you can enjoy amazing views of Bigbury Bay, admire the local flora and fauna and view the waves crashing onto the rugged rocks on the Western side of the island. 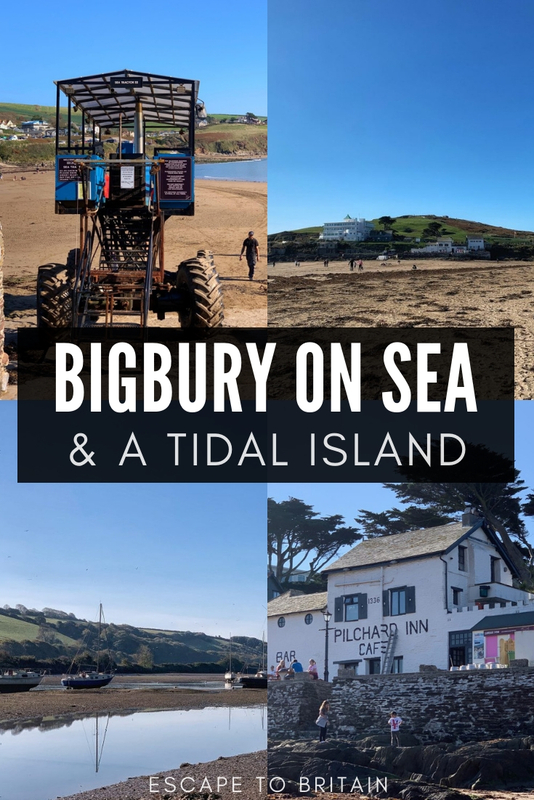 Little is known about the early history of Burgh Island, however, there have been fishermen in the area for centuries. 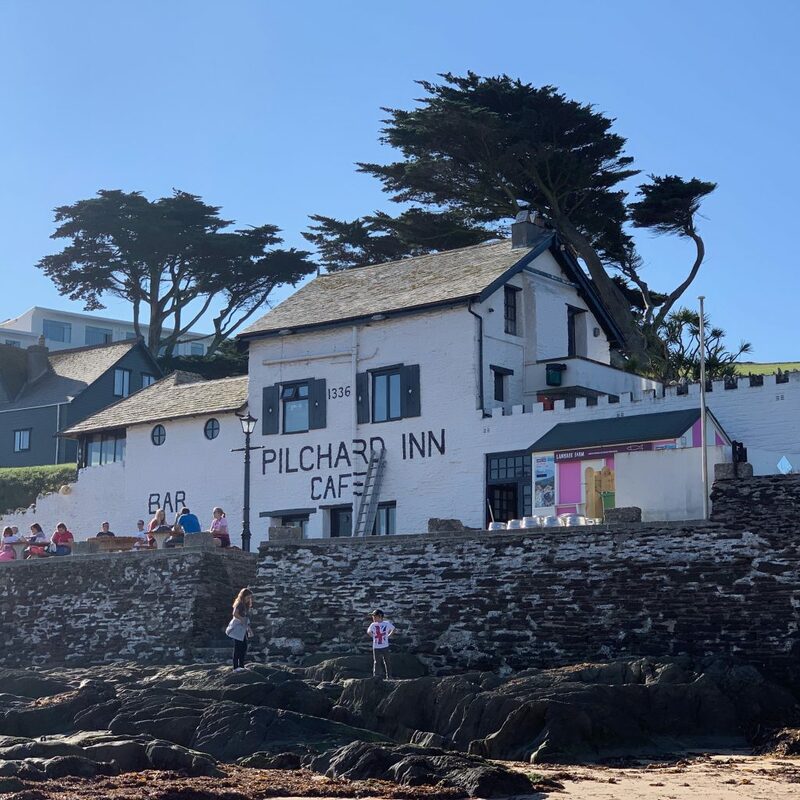 The quaint Pilchard Inn has stood as a sentinel over the causeway since the 14th century and if walls had ears would be able to recount many tales of smugglers, wreckers and contraband over the centuries. 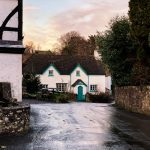 The pub is open daily except for Monday and Tuesday. The River Avon, otherwise known as Aune rises on south Dartmoor and flows into the sea at Bigbury-on-Sea. 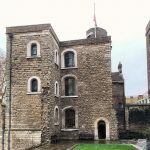 St. Michael’s Chapel has long since been lost through the ravages of time but it may have stood on or close to the present huer’s shelter. 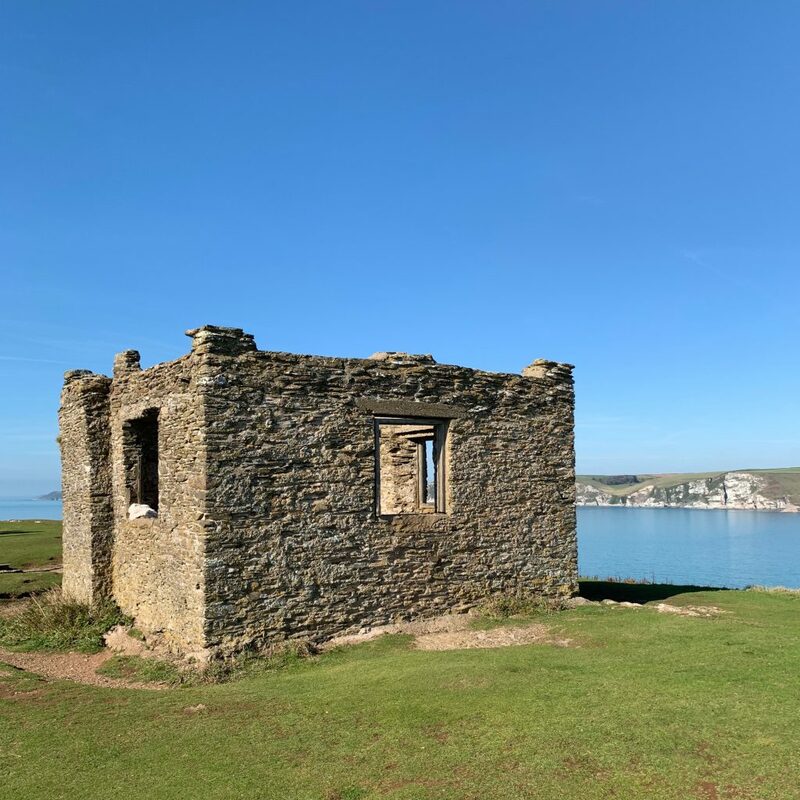 The small stone shelter at the top of the island probably dates from the 18th century and was built as a lookout over Bigbury Bay. During the Pilchard season, the ‘huer’ would keep watch for the distinctive ripple across the water that indicated a shoal of pilchard or herrings approaching. He would cry out to alert the fishermen and then signal which direction the boats should take in order to net the catch. In 1927 the island was sold to Archibald Nettlefold, a film studio owner and industrialist, who built the iconic Art Deco hotel that can be seen today. By the 1930’s it was the place to be and many well-known figures of the day vacationed there. Edward VIII and Wallis Simpson, Noel Coward, Winston Churchill, Amy Johnson and Agatha Christie to name but a few. The crime novelist stayed at the hotel on a number of occasions and was clearly inspired by Burgh Island. 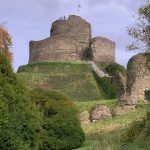 In fact, two of her novels are actually based on the island itself but under fictitious names. 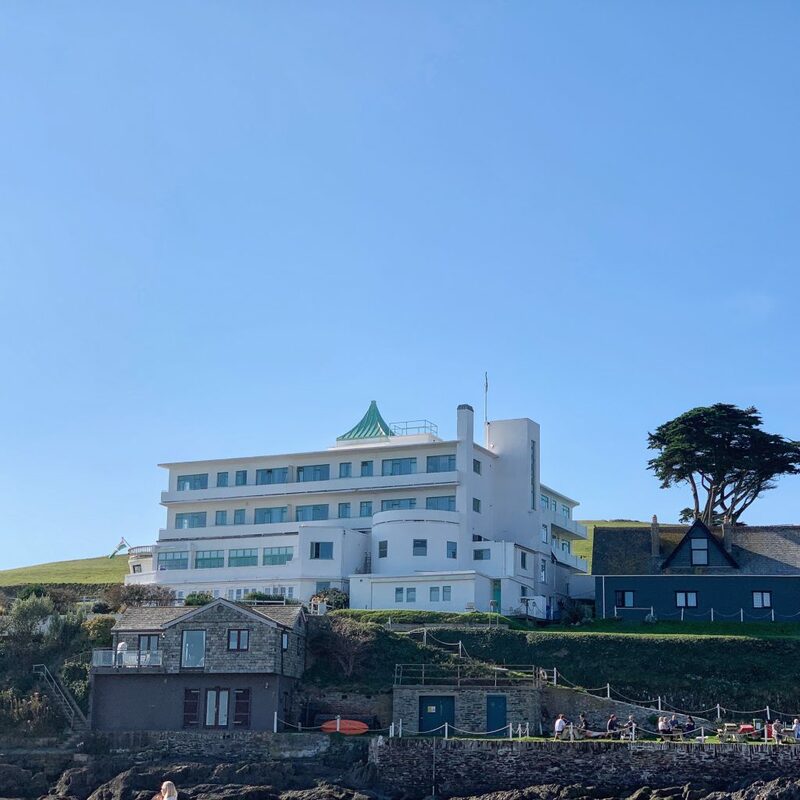 And Then There Were None is set on ‘Indian Island’ and the Hercule Poirot novel Evil Under The Sun on ‘Smugglers’ Island’ with Bigbury Bay being renamed ‘Leathercombe Bay’. An episode of the long-running Agatha Christie’s Poirot TV series starring David Suchet was filmed on the island aptly titled Evil Under The Sun. There is a large pay and display car park at Bigbury-on-Sea with a further overflow parking area in peak season. Close to the car park is a small shop where you can buy beach items and hire equipment. 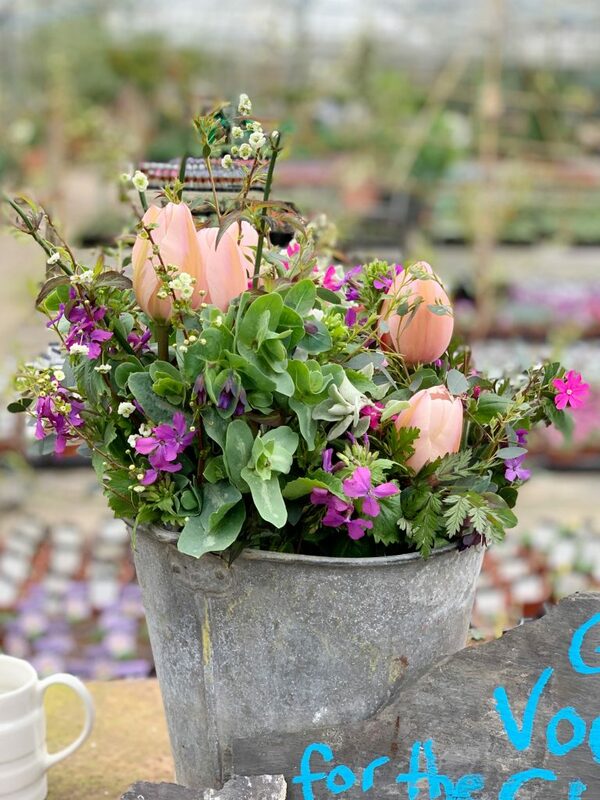 A free toilet block can be found just below the parking and close to the Venus Café. Nearby, an adjacent outdoor shower provides the perfect spot in which to wash off sandy toes! Coleton Fishacre – For fans of all things Art Deco, Coleton Fishacre likely needs no introduction. Set against the backdrop of a beautiful sub-tropical garden, this house gives a glimpse into what life would have been like in the early to mid-twentieth century. Greenway – Former home of Agatha Christie, this mansion house is located close to the water and is now owned and managed by the National Trust. 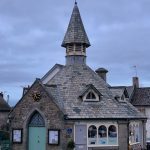 Members can visit for free, while anyone else can visit for a fee to see the location where Christie set several of her novels. 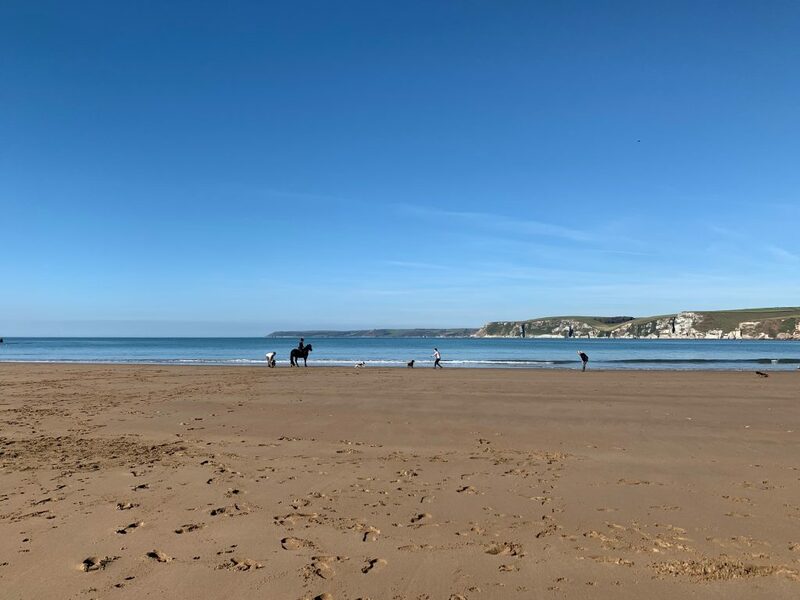 South Milton Sands – A sandy stretch that’s dog-friendly during the colder months of the year, the beach café at South Milton serves some of the best fries to be found anywhere in the South West.